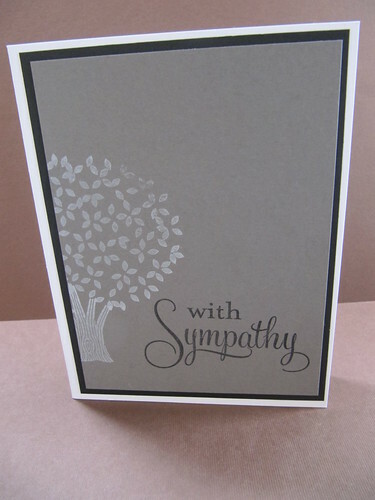 I have a sympathy card to share today. I don't know that I really like making them but it is always better to have one on hand if you need it. I love how soft the grey with white ink looks on this card. The stamp set is Thoughtful Branches by Stampin Up.